The ancient Roman Colosseum : five more strange facts. The Colosseum in Rome is one of the world's wonders. 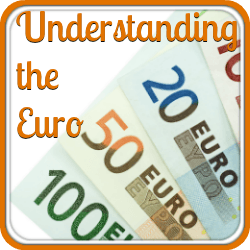 ... here are five more that you should know before you go. 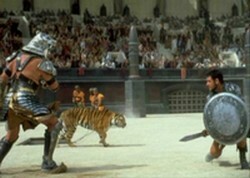 It is doubtful that Christians were ever thrown to the lions in the ancient Roman Colosseum. There's no doubt that Christians were tortured and killed in ancient Rome. We know from writings of the time that they were "wrapped in the hides of wild beasts and torn to pieces by dogs, or nailed to crosses, or set on fire, and when day declined, were burned to serve for nocturnal lights". 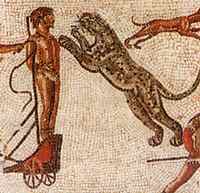 But there is no mention in descriptions of the ancient Roman Colosseum of Christians and lions, and historians agree that torture is far more likely to have been held in the Circus Maximus. No spiritual importance was attached to the Colosseum in Rome at a time when sites associated with martyrs were highly venerated - in fact it was used as a fortress, a quarry and even a shopping centre. It was not a site of pilgrimage until around the 17th Century when the Catholic Church promoted the idea of the ancient Roman Colosseum as Christian shrine and to this day, the Pope leads a religious procession to the Colosseum in Rome every Good Friday. 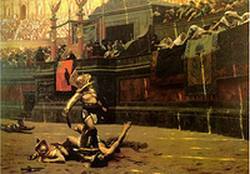 So, although Christians certainly died in Rome, and although ancient Roman animals were certainly used to fight humans, the victims of death in the ancient Roman Colosseum appear more likely to have been criminals and gladiators. Evidence of the rivers of Christian blood popularly supposed to have flowed out of the building just does not exist. The fact that the ancient Roman Colosseum had 'Vomitoria' does not mean gladiators were always ill.
Look in Italian travel guide books, restaurant reviews or phrase books and you will find definitions of 'vomitorium' such as "the place where the guzzler of rich food emptied his stomach, so that he might come back to the feast for more" (Lewis Mumford, 'The Condition of Man'). The Romans would be mortified. The Latin word 'vomitorium' meaning rapid expulsion was in fact the architectural name given to the many passages below and behind the seats in large amphitheatres like the Colosseum in Rome, through which crowds left at the end of a performance. The image of the arena's fifty thousand or more spectators suddenly and energetically spilling out of the corridors linking the seventy-six exits gave rise to the word's architectural application. 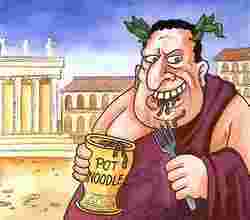 The word 'vomitorium' is still used in theatres world-wide. Famous examples of large modern day 'vomitoria' can be found at the Circle in the Square Theatre on Broadway, the Mark Taper Forum in Los Angeles, the Globe Theatre in London and the Royal Shakespeare Company's main and Swan Theatres in Stratford-upon-Avon. The director of 'Gladiator' thought the Colosseum in Rome was too small - so he built another one in Malta. 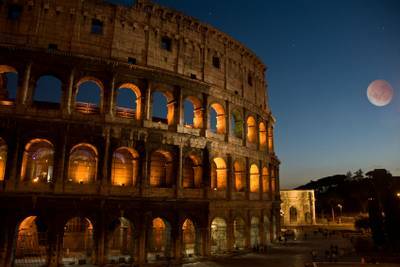 Rome’s bureaucrats are exceptionally protective when it comes to the ancient Roman Colosseum. Only a few films have had access to the stadium and the red tape required includes months of personal appeals and back-and-forth correspondence. Film directors have to agree to a large number of conditions including working with a skeleton crew, specific hours for filming, avoiding placing anything on the ground and using no artificial lighting. So when it came to making the blockbuster 'Gladiator' in 2000, director Ridley Scott was delighted to have been given unprecedented access to the arena by a Roman mayor who enjoyed Hollywood glitz. No director before had been offered such an opportunity to recreate imperial Rome. But there were drawbacks. It was not just the restrictions imposed by the City of Rome which made him move filming. It was his view that the ancient Roman Colosseum was simply not big enough for Hollywood. So Ridley Scott went to - Malta. Shooting took place on a manufactured set within the ruins of Malta's Fort Ricasoli where Scott created a bigger, glitzier, 'Colosseum'. Additionally, because he thought that Rome did not look enough like Rome, the entire Roman section of the film was also shot in Malta. Here's Ridley Scott's final word about the glory of the ancient Roman Colosseum : "I love the Colosseum but it's full of pockmarks - it's wrecked. We did look at another Colosseum in France, but in the end it was simpler to build one". Thumbs up may actually have meant thumbs down. the source of the thumbs down gesture? Popular culture would have us believe that the thumbs down gesture was not good news for a gladiator. Paintings and many Hollywood films have embedded the symbol of the thumbs up gesture as an indicator of life spared, and down as death. 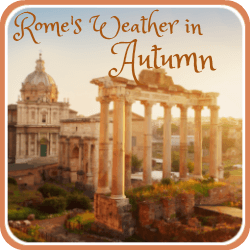 But in fact the term 'pollice verso' means 'thumb turned', or 'moved this way and that' - and it is by no means clear which way the ancient Romans pointed their thumbs. An expert on ancient gestures has demonstrated that in both ancient and modern Italian culture the thumbs-up sign is a symbol of insult and, in all likelihood was the signal to kill. The clear "thumbs up" and "thumbs down" image, then, is not an historical accuracy but a product of of Hollywood and epic film. 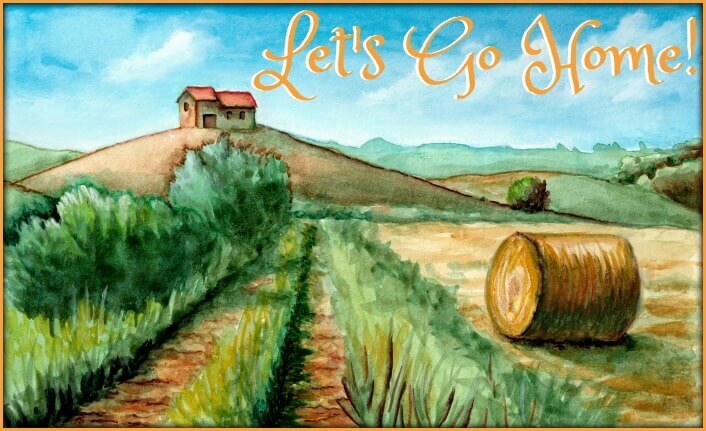 It may well be that those who wanted a gladiator killed in the Colosseum in Rome waved their thumbs in more or less any direction they felt like, while those who wanted him spared kept their thumbs to themselves. Beyoncé drank Pepsi in the ancient Roman Colosseum. 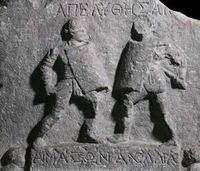 Watching female gladiators fight was one of the most popular things to do in ancient Rome. 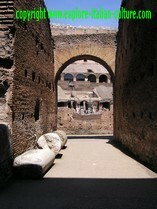 Their first evidenced appearance in the Colosseum is between 37 and 68 A.D. But although popular with the crowds, the appearance of female gladiators was viewed by others as "most disgraceful and most shocking". Unlike their male counterparts, they were held in very low esteem. It seems that Britney Spears, Beyoncé Knowles, and Pink are held in much higher regard in this TV advertisement for Pepsi. Using the ancient Roman Colosseum as a setting, Enrique Iglesias plays the role of an unpleasant emperor overlooking a female gladiator contest - until the tables are turned. Although some viewers found it distasteful to use a venue where so many had met their deaths, most people took it for what it was - a rendition of a popular song using a world renowned site to portray in a humorous, light-hearted way just how everyday life in ancient Rome could have been - if only the many skills and talents of the ancient Romans had stretched to creating Pepsi. 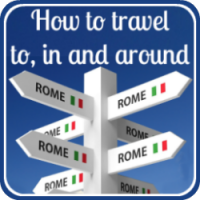 This link will take you to a page which gives practical information about the ancient Roman Colosseum : how to get there, opening times and cost; recommends two of the most helpful guidebooks we have found (one for adults and one for children); and tells you how to keep your kids entertained by booking a trip to Rome's own gladiator school. 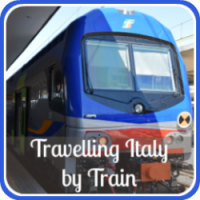 Read, and enjoy planning your trip to one of the best places to visit in Italy!